So, of course, Thanksgiving is literally a few days away and I wanted to be somewhat festive. I'm not really big on this particular holiday but it is what it is. This is usually the time of the year where everyone is super thankful but I personally think we all should be thankful 24/7, 365 days a year. But hey, that's me. 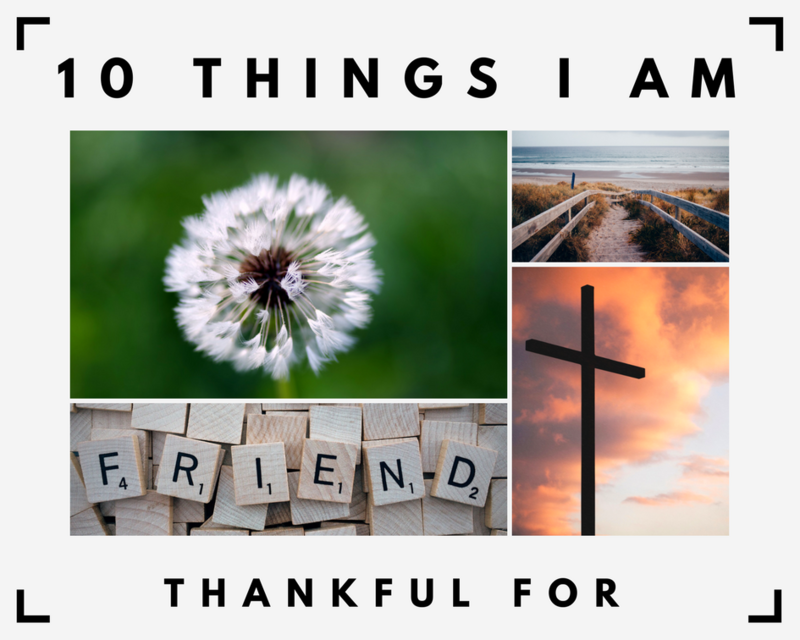 Now let's get on to the main topic, 10 Things I Am Thankful For. 1. Being able to wake up every morning for the past 22 years. This is something I do take for granted time to time. 2. Having loving and supportive family and friends. They are my main support system. 3. Having a stable source of income and job. Even though there are some long rough days in the military, everything is still paid for. 4. Being able to practice freedom of speech especially through my blog. 6. God. He is my rock, the foundation of my life. He keeps me going no matter what. 7. My Grandmother, Rosalee. I will forever be grateful for what my beautiful grandmother taught me over the years. Mainly she taught me to be strong and speak up for what I want. Even though she is not physically here with me anymore, I know she'll always be in my heart, watching over me, and nearby. 8. Technology. Yes, that may sound a little nieve but what would I do without wifi and my phone? 9. Baked macaroni and cheese. Yes, it's my favorite food in the whole wide universe. Ya'll will never understand my love for that amazing cheesy dish. 10. My supporters. Everyone who took the time out to read this blog post, I am thankful for you! I've realized, over the few years of being an adult, that I am beyond blessed. I won't say I've lived the most perfect life but so far it has treated me well to the point I cannot complain. Comment down below one thing you will forever be thankful for. Love this! It's always such a great reminder to be grateful for what we have. I need to do the same. Thank you for sharing! This is awesome! So important to practice gratitude every single day for what we have. It also helps us see how far we've come! Thanks for this post! Thank you for checking out my blog! Happy holidays.